Whether you are promoting your brand directly on social networks or running an SEO campaign, you cannot ignore the importance of social media to different types of online marketing strategies. Social signals are more important than ever. So how can you be more productive with your social media campaigns? Here are 5 tips to help you in this regard. While it is good to have presence on different social networks, it is important to focus your social media marketing efforts on the ones with the highest-ROI potential. Use analytics to keep track of the returns you are generating from the different sites. Facebook and Twitter may be among the largest or most popular platforms, but it is not necessary that you generate the highest traction from these sites. Instagram, Pinterest and LinkedIn are more suited to certain types of businesses. If you think you can manage your social media marketing campaigns on your own, you are wrong. The right social media management tools can not only ease SMM, they can also speed up things and help you get the most out of the platform. Without the right tools, you could spend all your time on this one aspect of online marketing without realizing the full potential of it. There are many tools to help you have better control over your social campaigns and boost your productivity. Social media marketing is a time-consuming strategy. To simplify the process, you should dedicate time to create weekly or monthly content. Create all the different types of content, including text and graphics. It is easier to create content for multiple social media sites at once. So it will be best to create graphics content for Pinterest, Facebook and Instagram at the same time. When it comes to boosting productivity on social media, the key is to save time. You should create time-saving systems that are well organized, streamlined and repetitive. Schedule your content to be targeted at your audience at times they are likely to be most productive. Social media marketing spans multiple social networks. If you want to boost productivity, make sure to share all your posts at the same time on the different networks. As already mentioned, using a social management tool can help in this regard. Once you have created the content and scheduled it, you should be able to share the content with just a single click. Avoid the obsolete and time-consuming system of opening each account and then posting content separately. Don’t let your valuable old content to lie dormant. You can re-purpose them and reuse effectively to boost your social media presence. The key is to learn how to do it like other successful social media promoters. This strategy can save you time and boost your productivity. 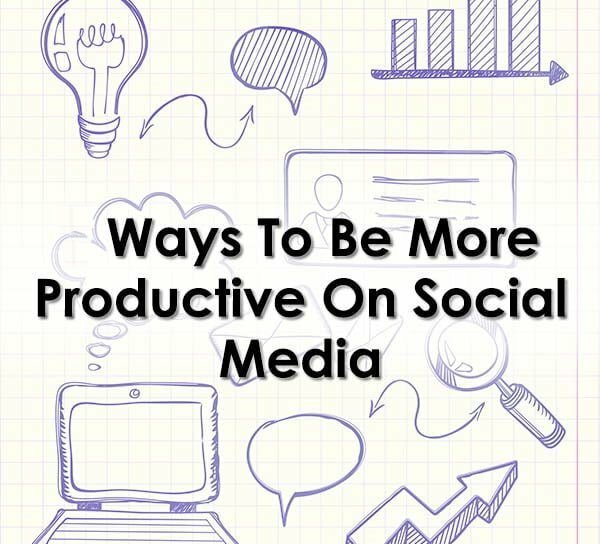 So follow these proven strategies to boost your productivity with social media campaigns. Social media marketing doesn’t have to be complicated. As long as you use the right strategies, you can save both time and money while achieving higher returns for your advertising dollar.